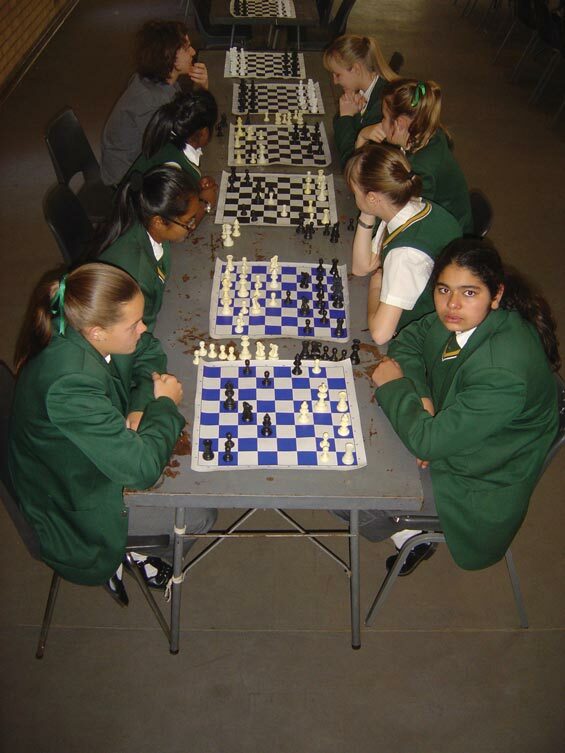 At the Chess Provincials played at CR Swart School in Middelburg, on Saturday, 26 September the Piet Retief High School girls really showed some nerve and steel. There were 24 teams which took part in the Provincials, four of which participated in the under 18 age category. It is in the latter that the Piet Retief girls wiped the floor with their opponents. That means that each girl played three matches during this round robin tournament, totalling 18 matches for the team (excluding the reserve) and not losing any games. Piet Retief was the only team to get a full score of 18 points (girls under 18) not even having one single illegal movement noted against any one of them – real champions! A supporter said: “These girls are brutal”. 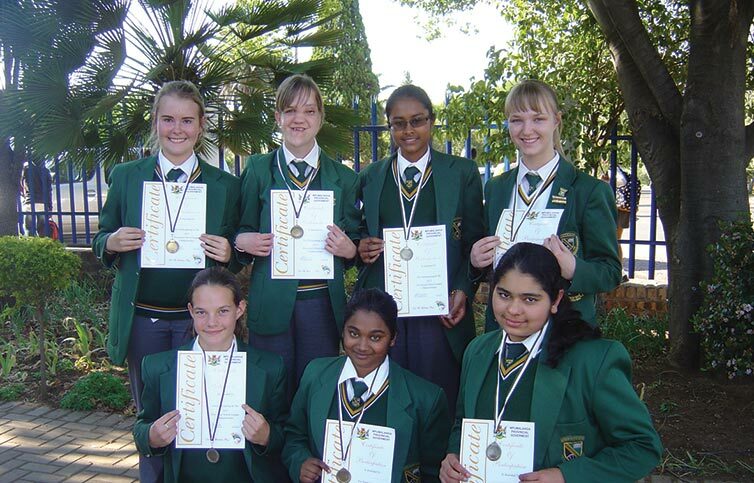 This is the fifth time that the Piet Retief Girls Chess Team wins the Regionals, in the mere seven years of the existence of a girls’ team at the school. (During 2014, however, there was no girls’ team).What makes this year’s achievement so extra special is that most of the girls are still very young for playing in the under 18 age category. Three of them are still in grade 8 only, one in grade 9 and two in grade 10. Only Board 1 (captain), René Taljaard, is already in grade 12. Three of the girls started playing chess only this year. A great chess future seems to be awaiting you, girls! Teachers Krause and Van Wyngaard are involved with coaching and organising the chess at the high school, but parent, Johan Viviers, has been coaching the girls since they qualified for the Provincials and is doing a great job. Johan and his wife have been like parents to the girls, having them practise in their home as well. Thank you very much! The coaches are very proud of the girls, more so because of their excellent behaviour. Chess player, Lilly, says: “Playing chess is awesome, everyone should play!” René says that, when playing a game, you reach a certain level, “when the game is actually continued off the board and carried into the mind. That is when you try to frustrate and anger your opponent and it becomes a battle of emotions and wit.” The girls thank their coaches for a job well done, for lessons in life taught to them, for encouragement, financial support and the scarves Mrs van Wyngaard gave them. Thank you, Bernard and Esté, for all your motivation and inspiration and practical tips, even on intimidation Congratulations to these girls and coaches alike. We wish you all the best for the Nationals in Pretoria, during the first week in December. All chess players who would like to give the girls much needed competition to prepare for the Nationals, are invited to contact the school.